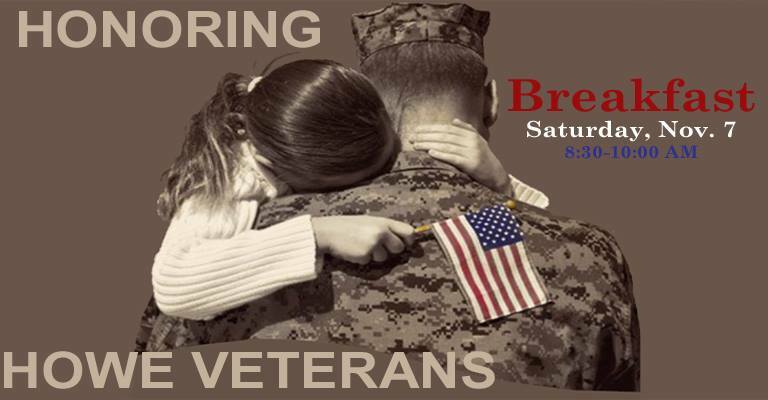 The Howe church of Christ invites veterans of the Howe community to be our guests of honor, during a full breakfast and brief program in your honor! We thank God for men and women like you, who have served and are currently serving our nation. Please join us on Saturday, Nov. 7th at 8:30 AM, and feel free to bring others with you as guest or guests. Please R.S.V.P. with the Howe church of Christ office at 903-532-6441 or contact us if you have any questions about the event in honor of our veterans.